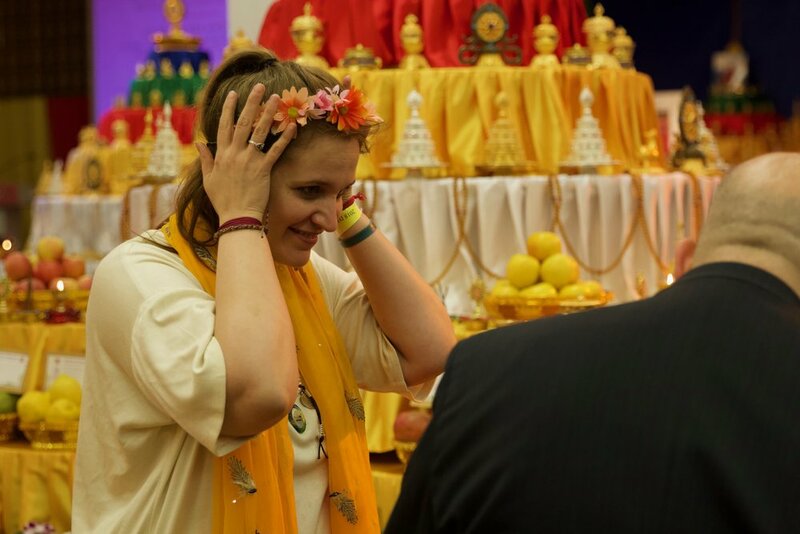 A drupchen or “great accomplishment” is a group practice that combines and magnifies the accumulated power of each participant’s individual positive thinking to swiftly bring about beneficial results. 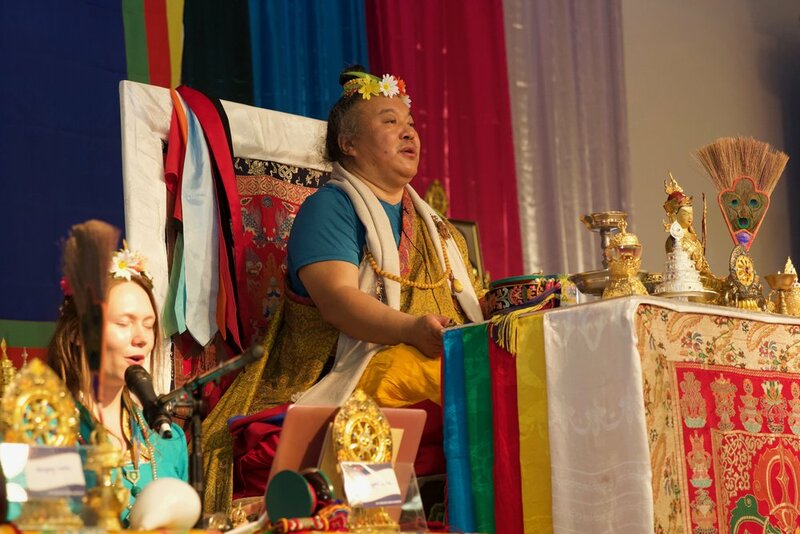 When properly undertaken with correct intention this practice can produce in a few short days the merit equivalent to that of months or even years of solitary retreat. 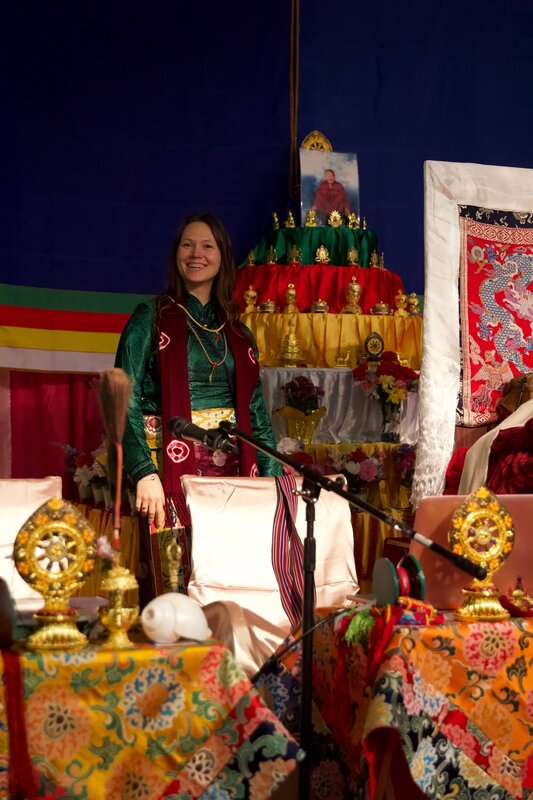 Drupchen utilizes the pure view and skillful means of Vajrayana Buddhism to produce a profound result. 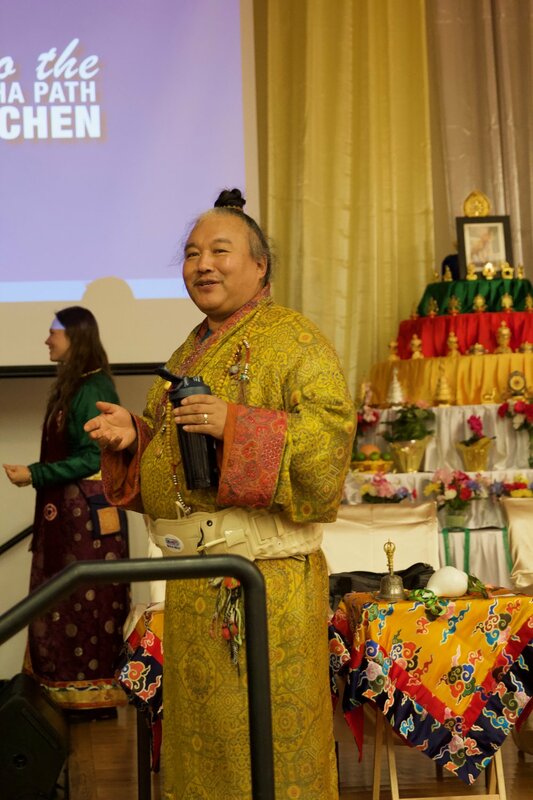 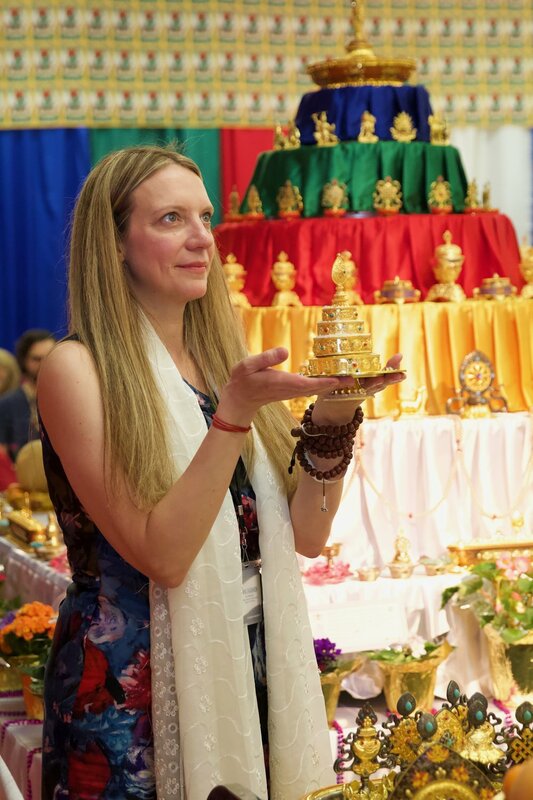 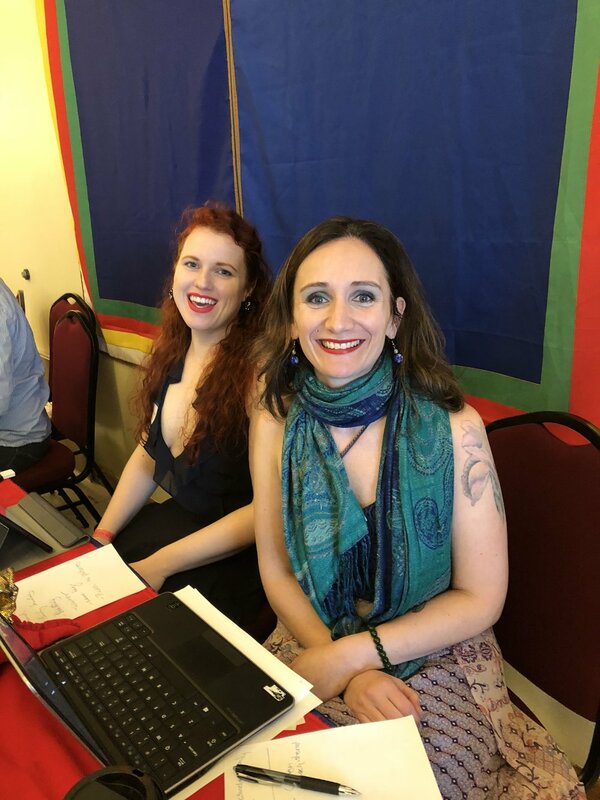 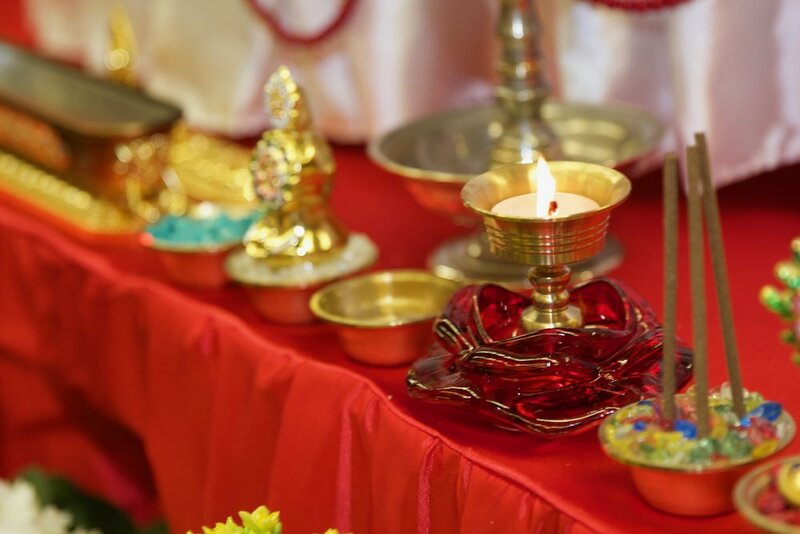 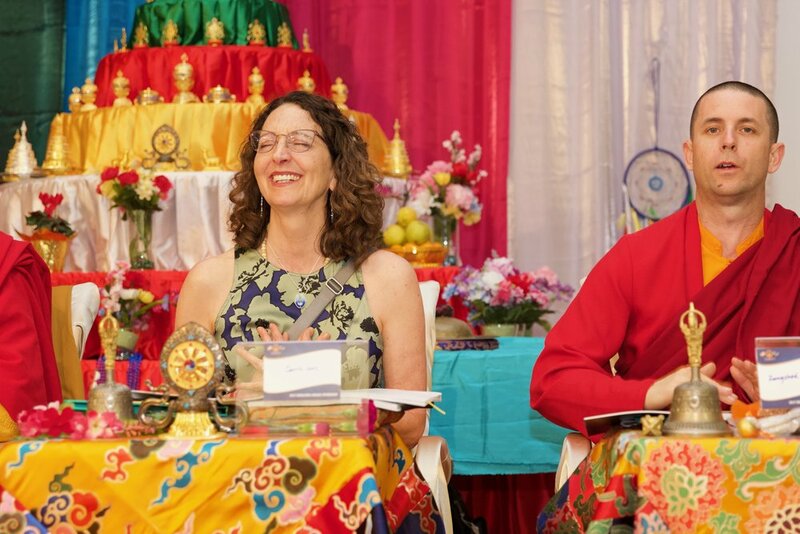 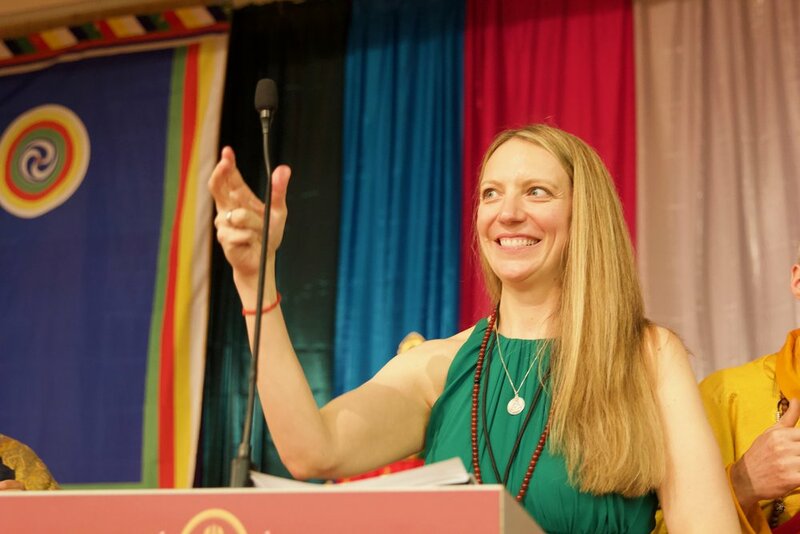 We combine methods such as visualization, mantra, mudra, music, and Dharma dancing with physical mandala creation, offerings, and holy substances to completely transform ordinary perceptions into the pure realm of the deity. 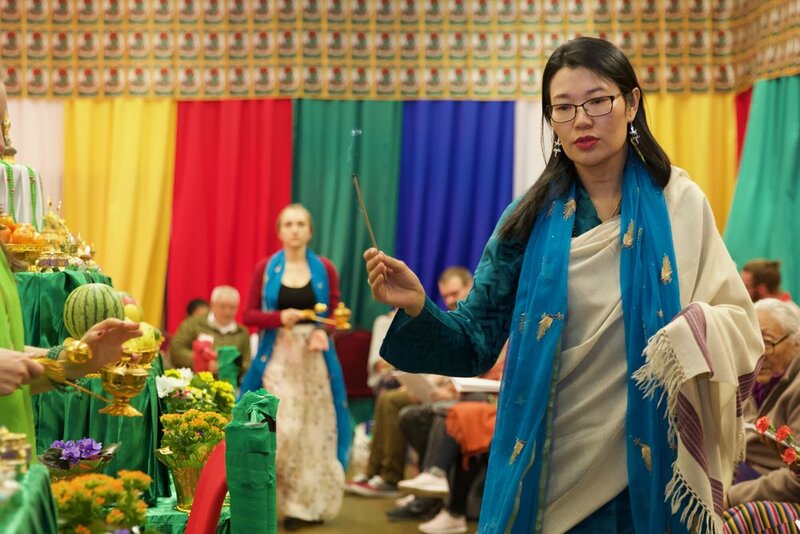 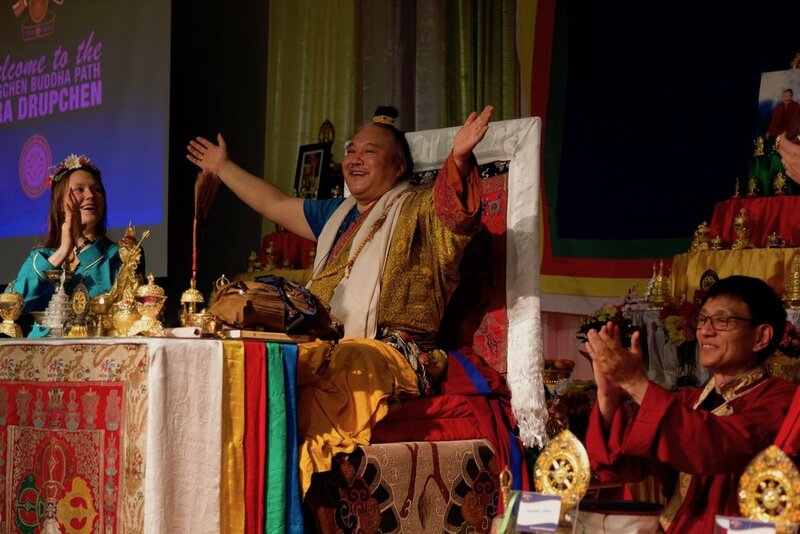 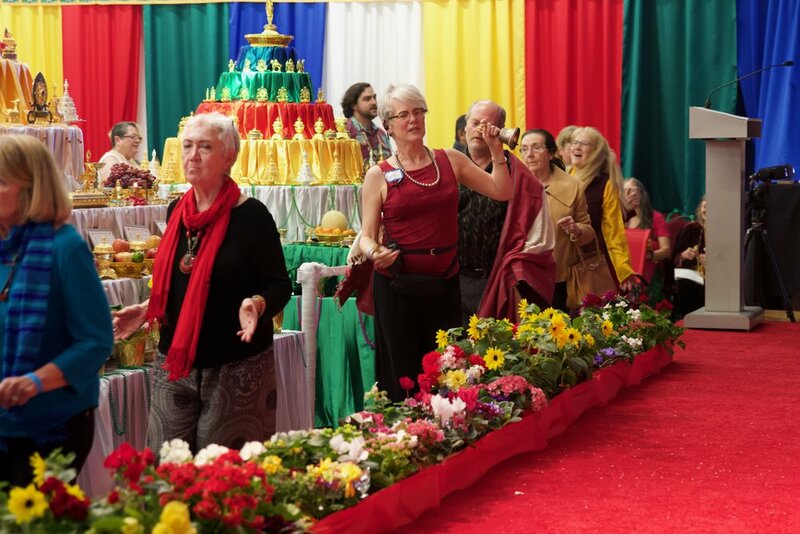 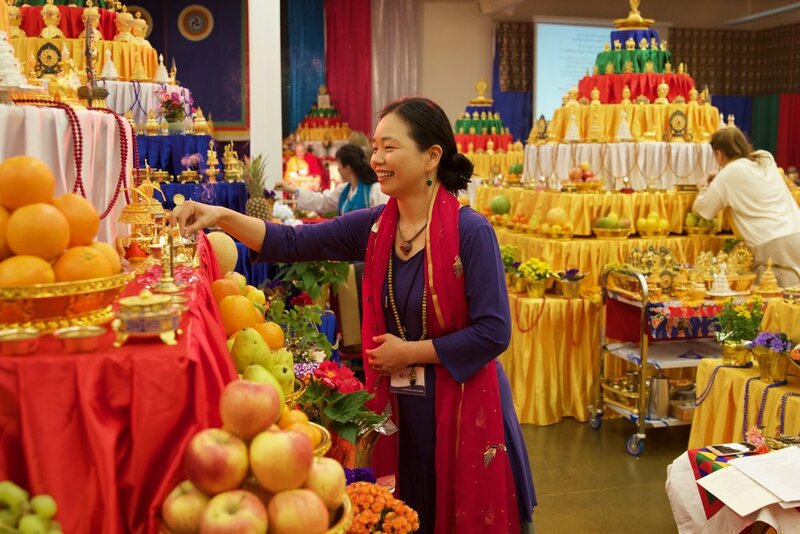 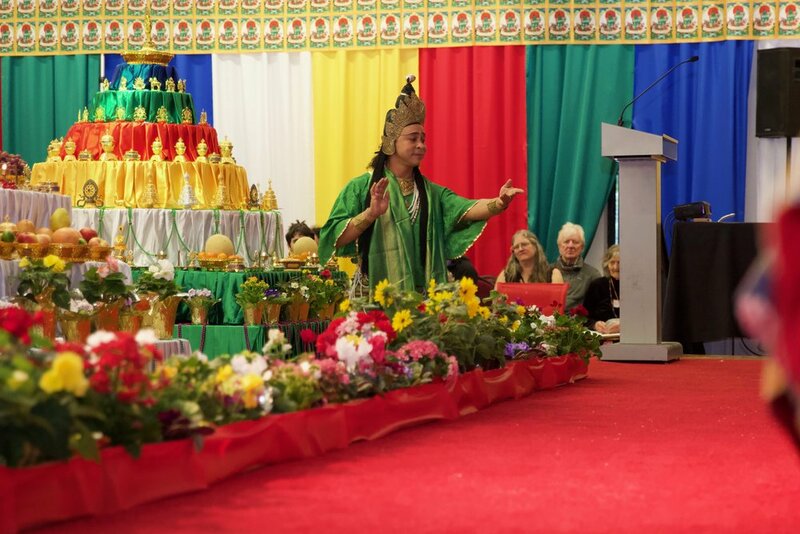 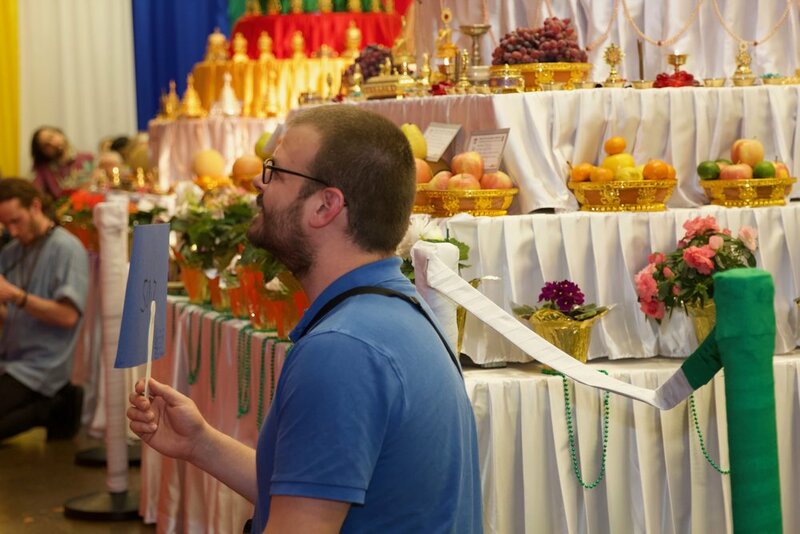 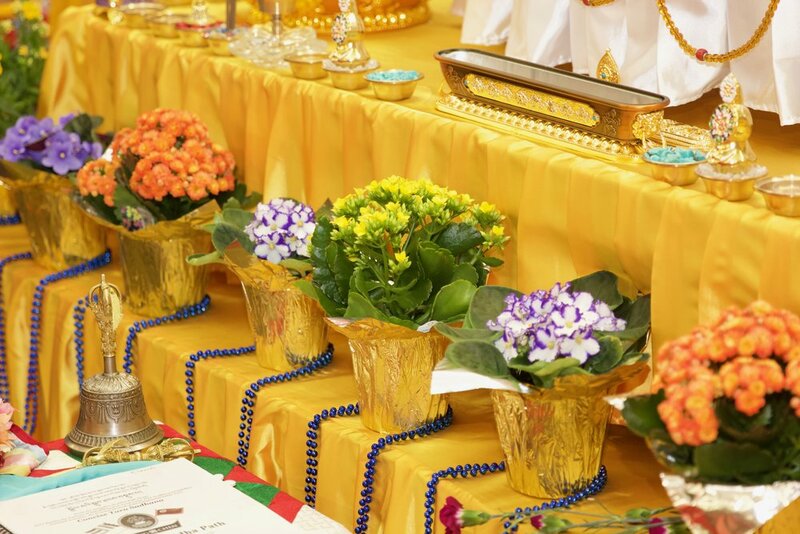 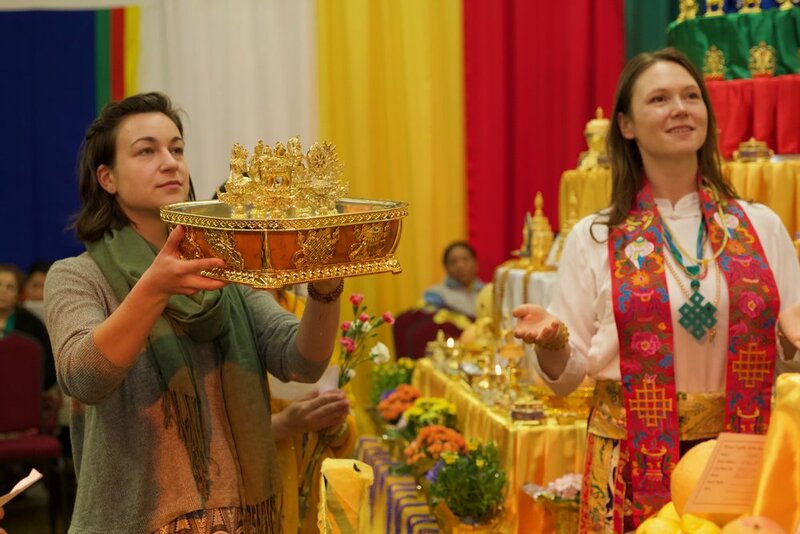 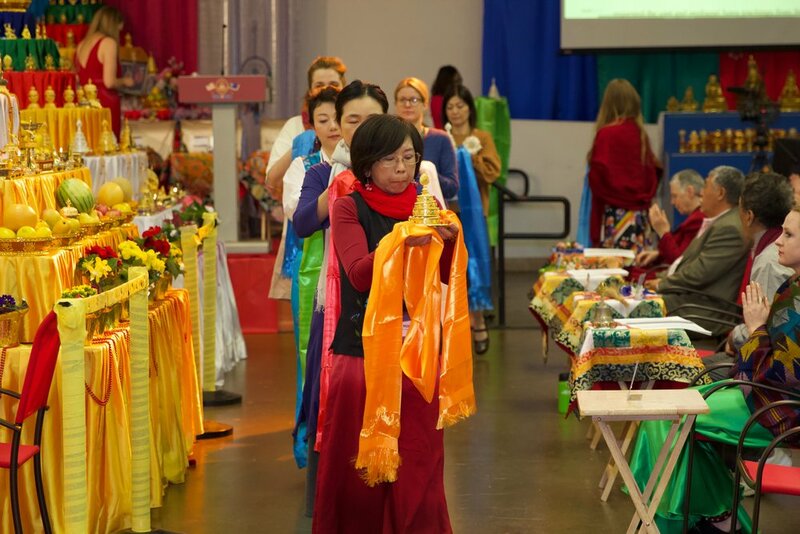 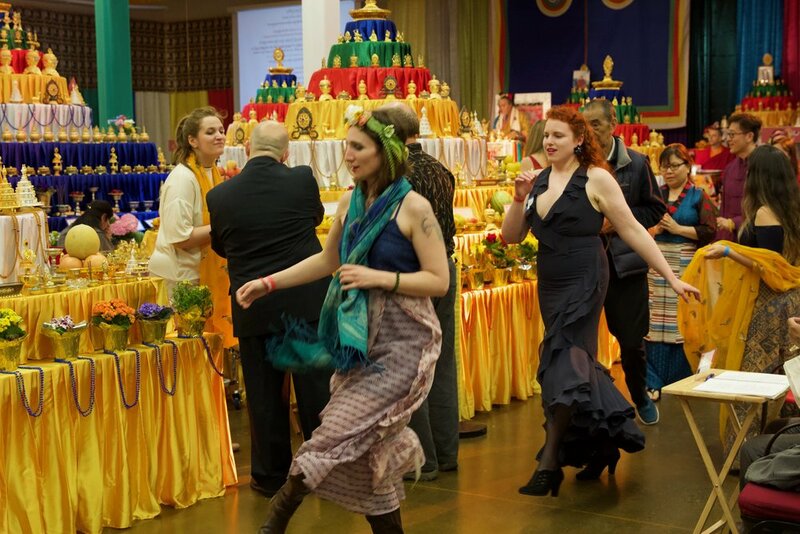 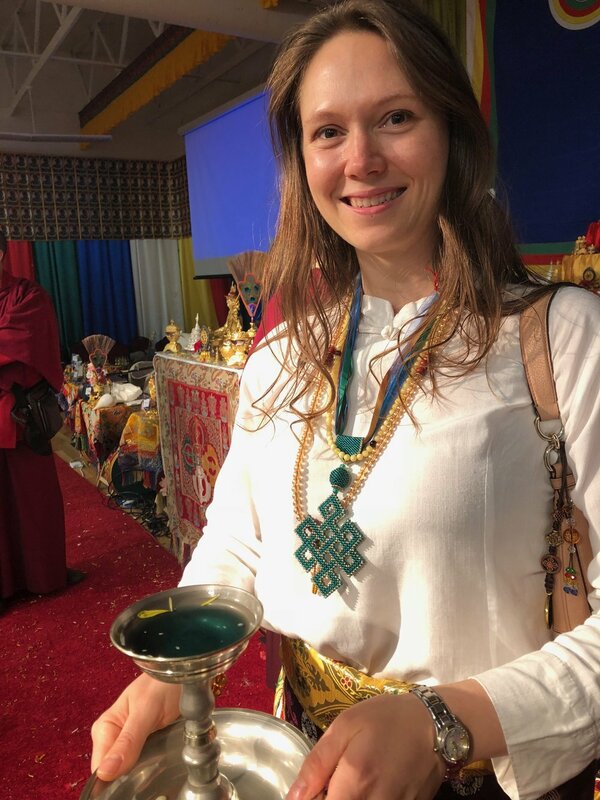 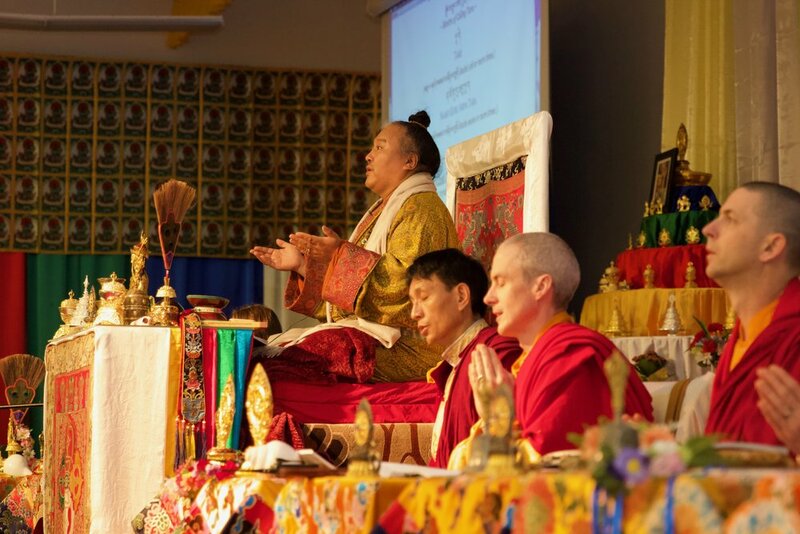 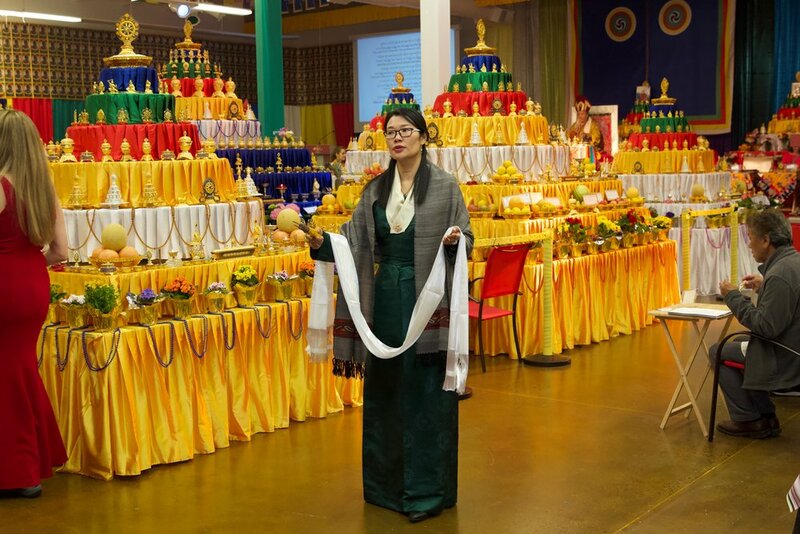 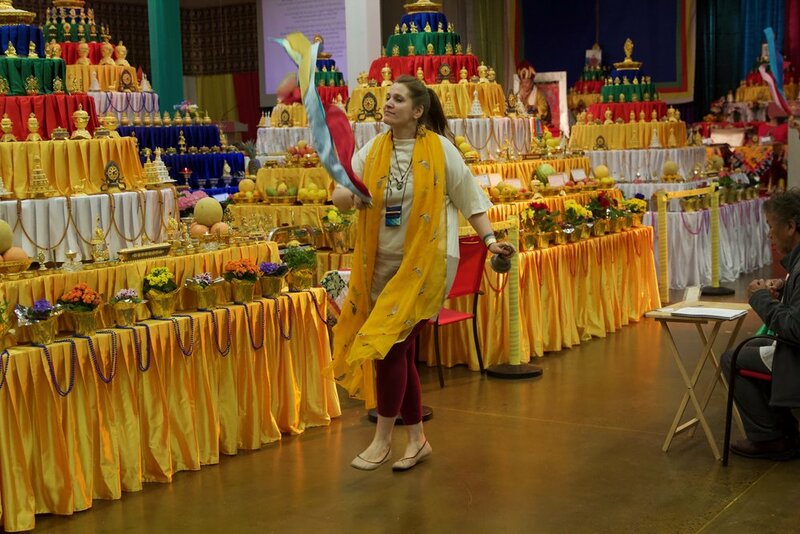 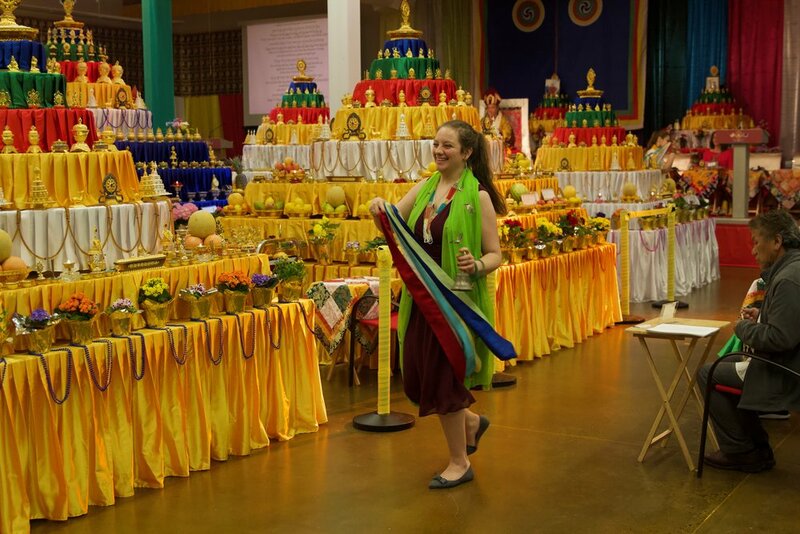 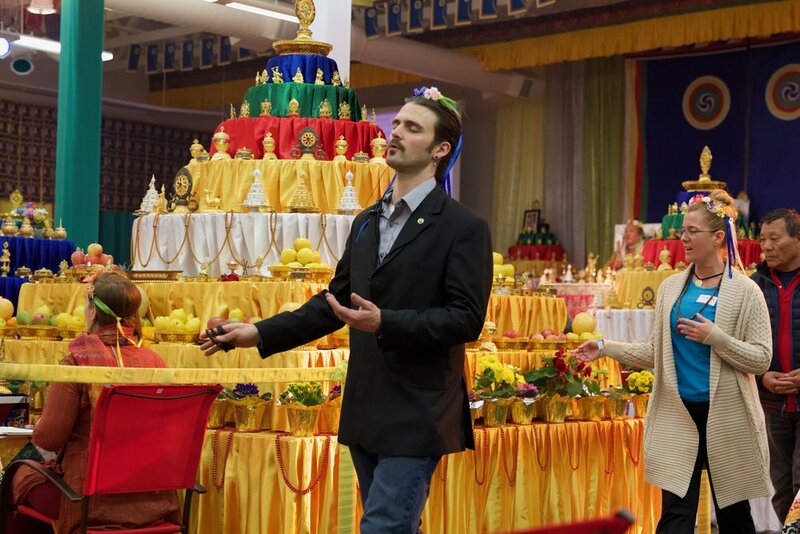 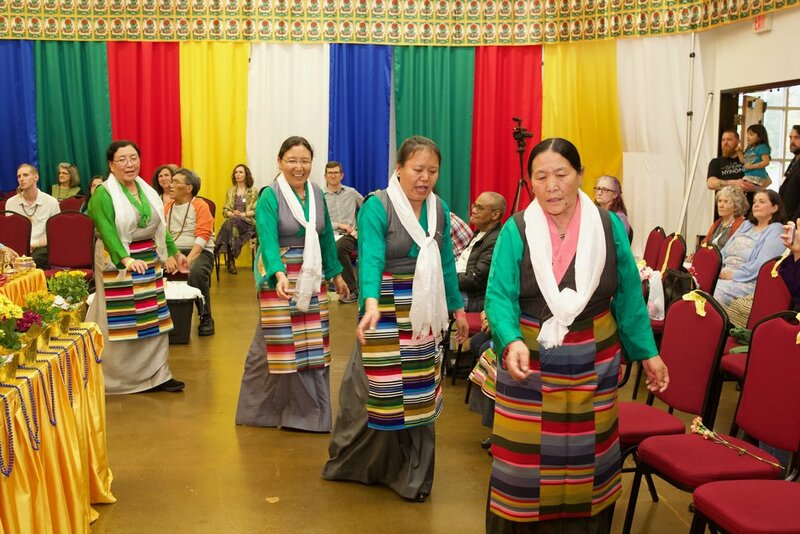 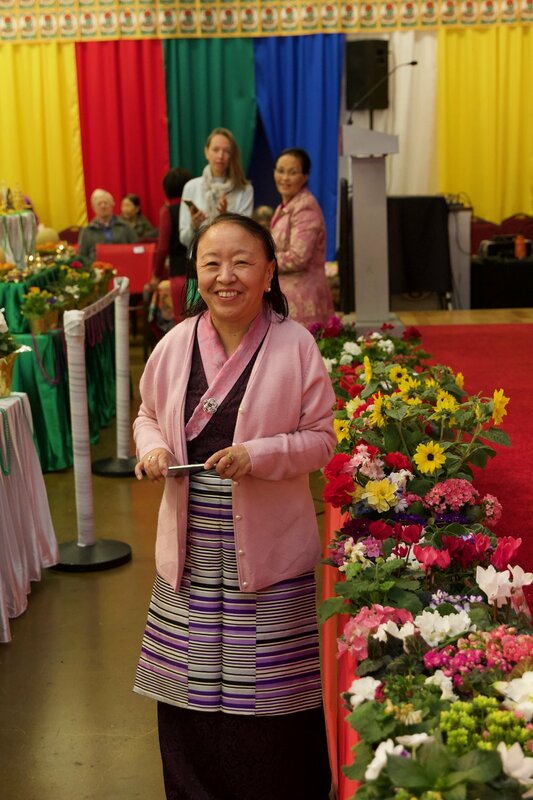 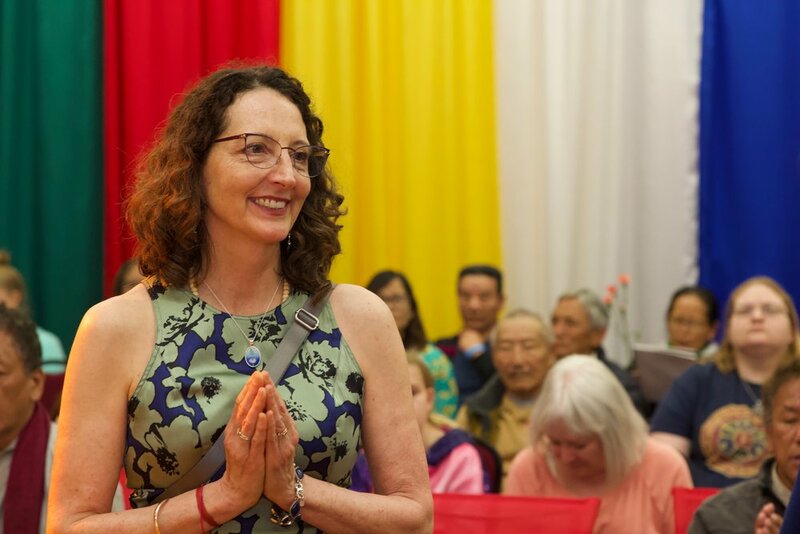 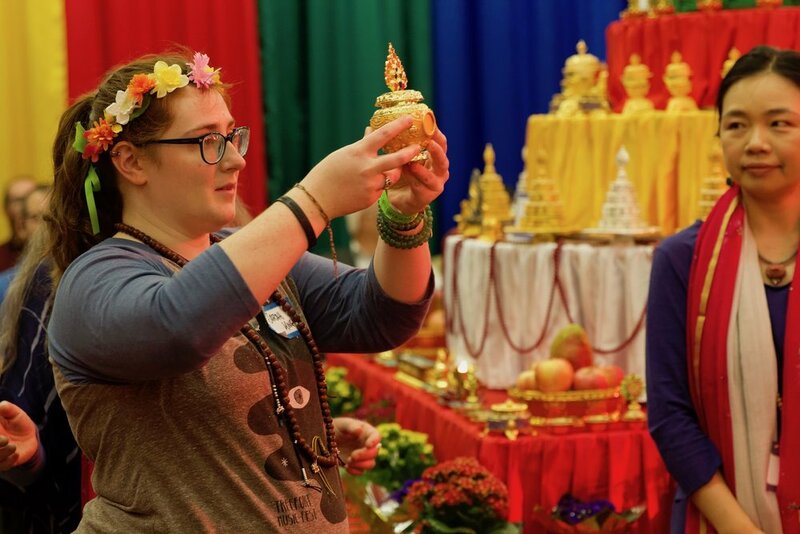 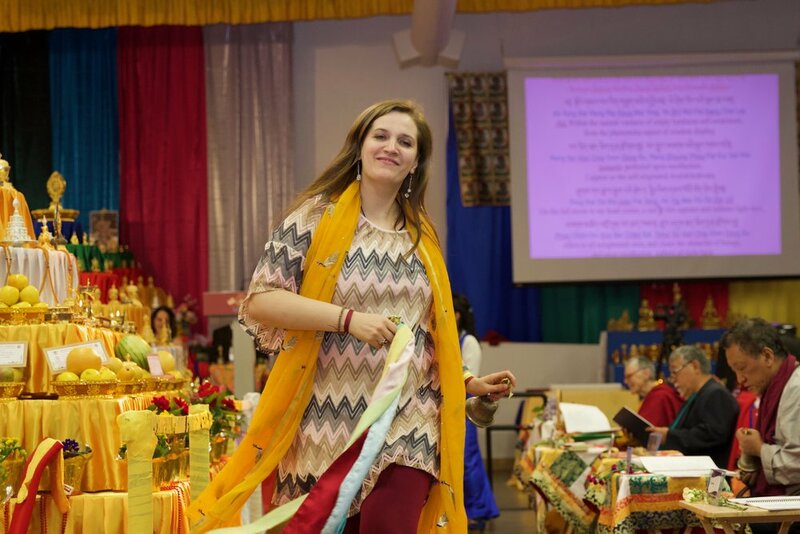 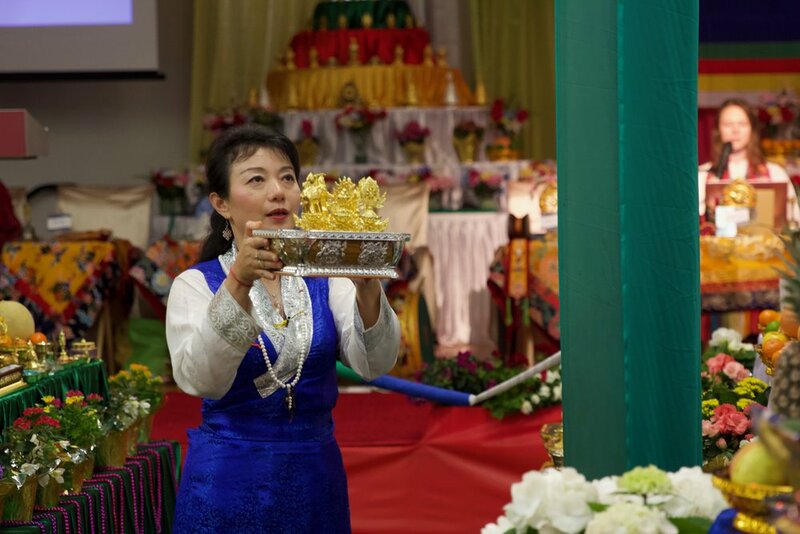 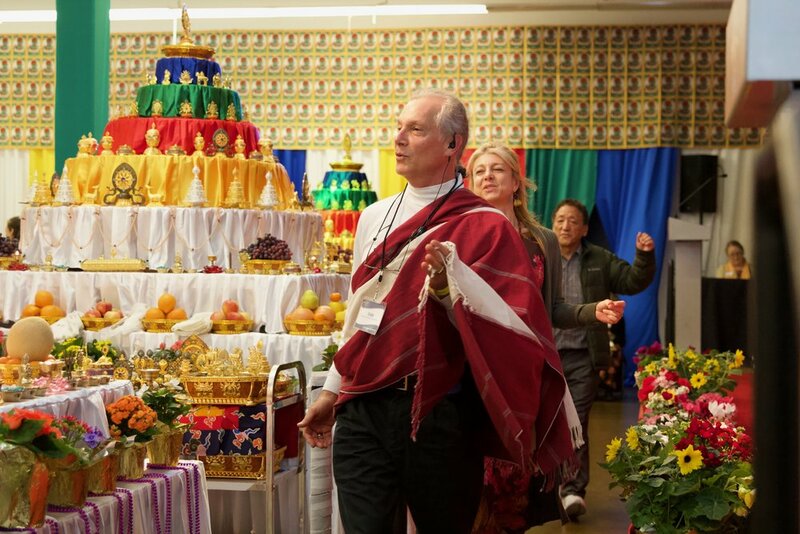 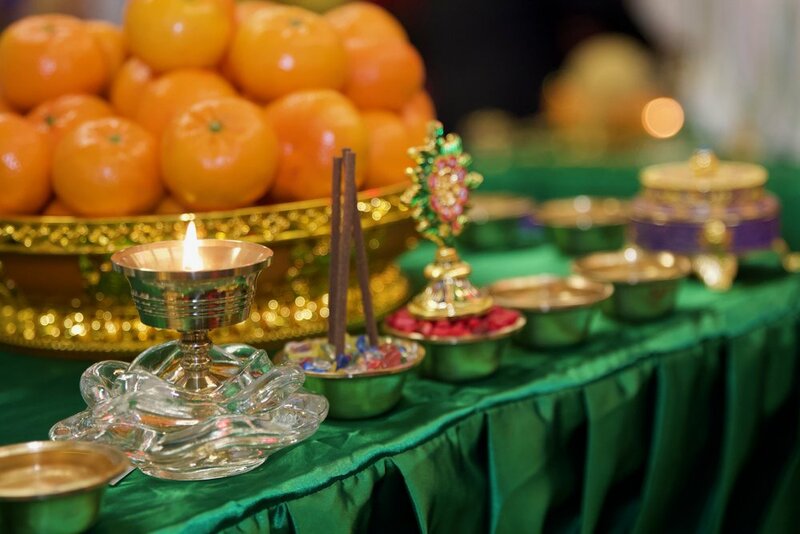 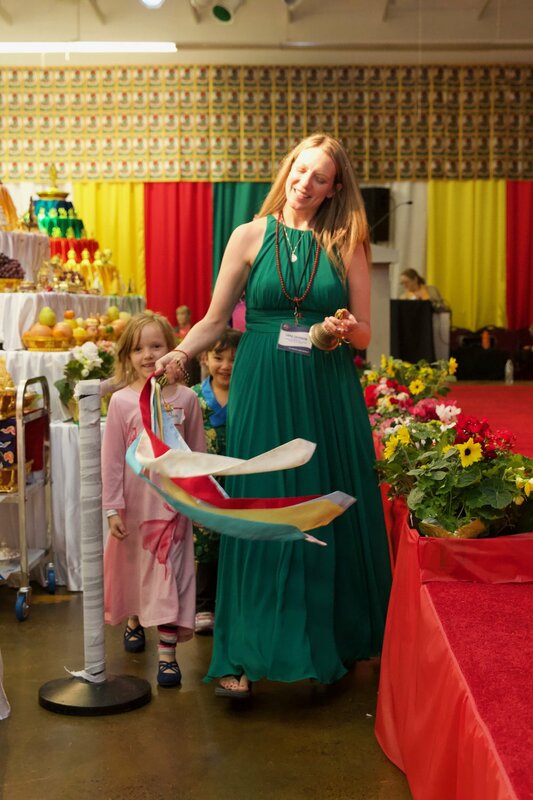 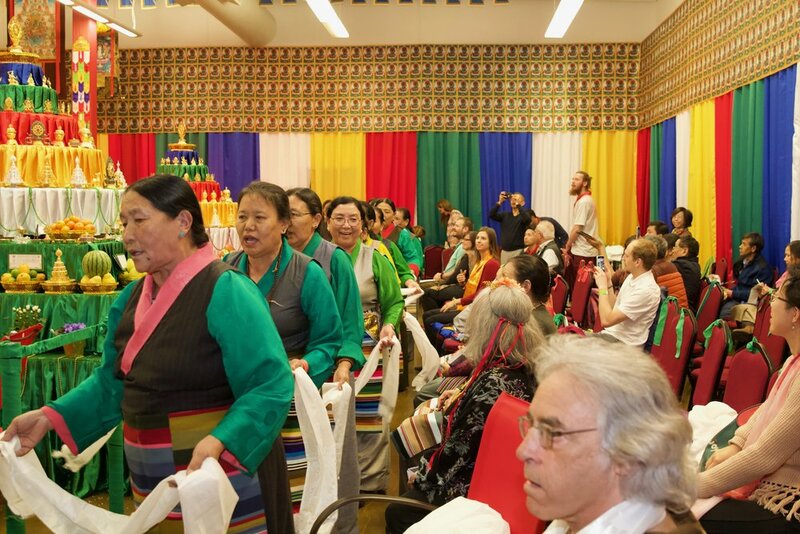 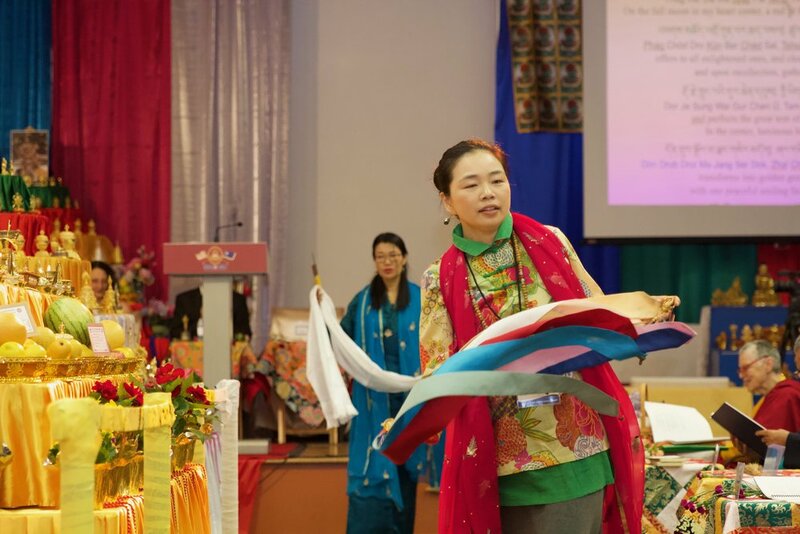 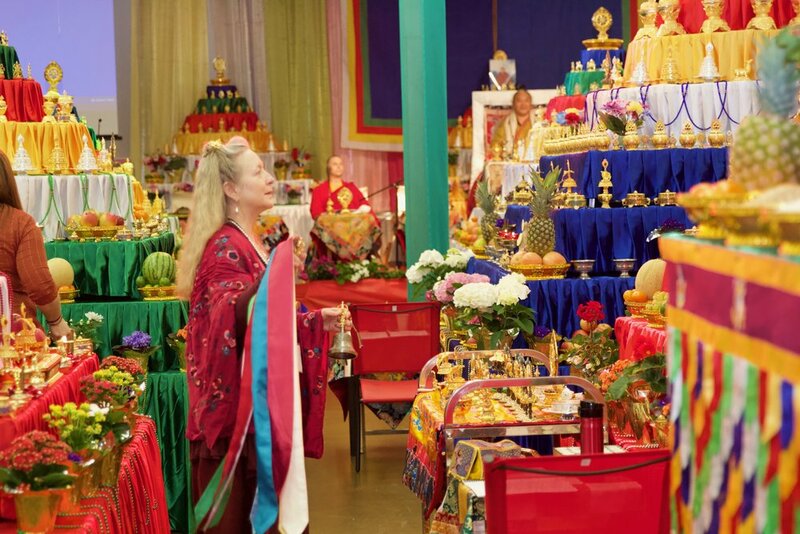 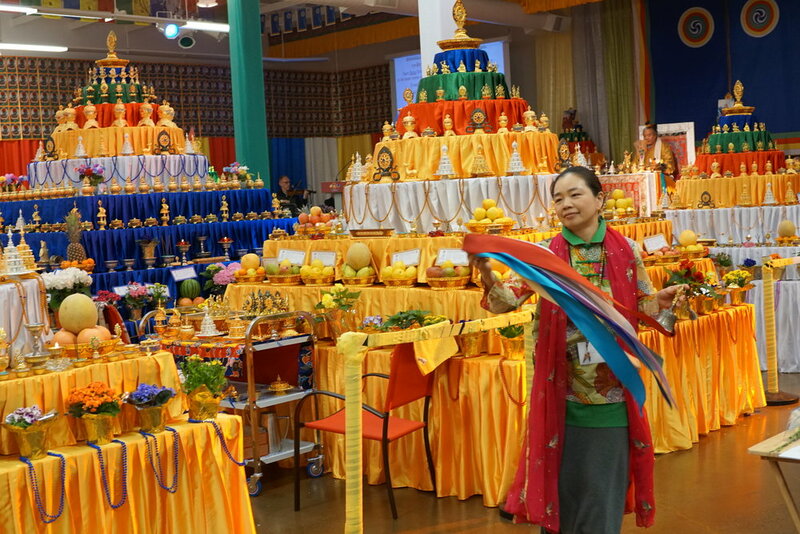 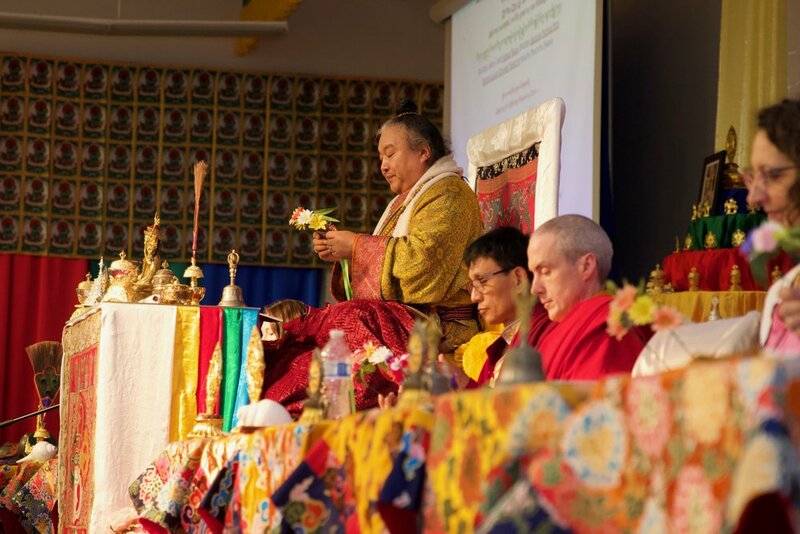 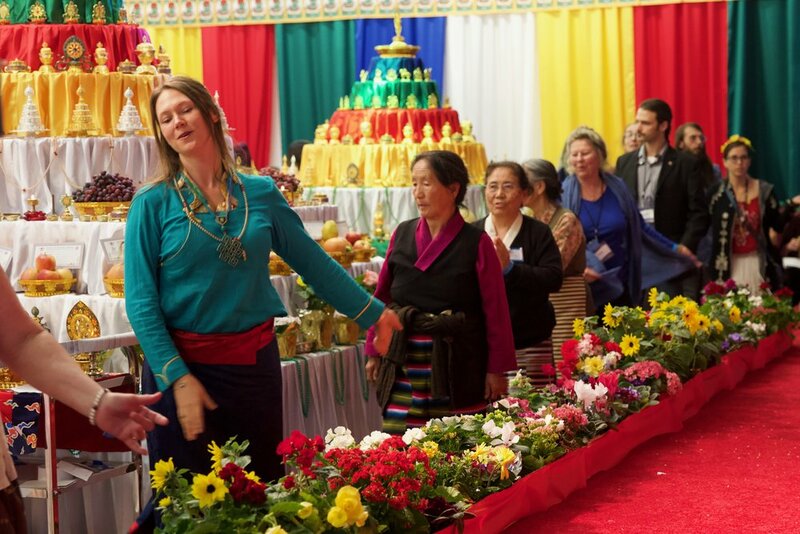 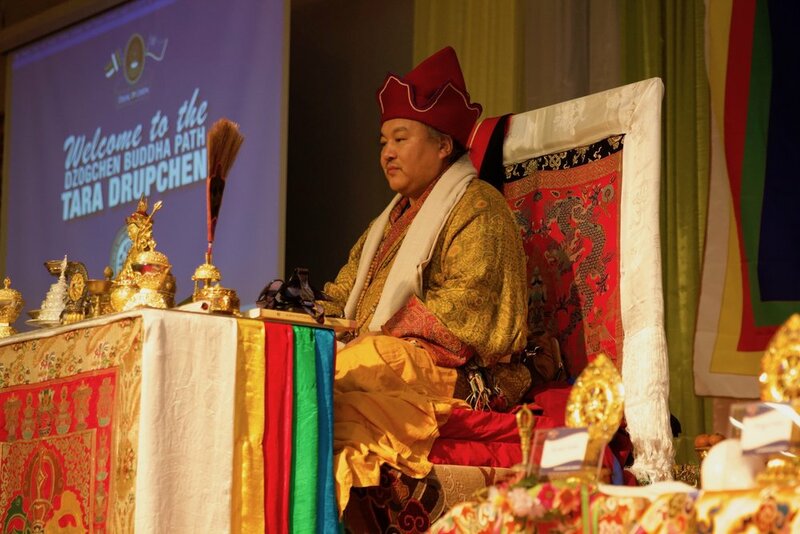 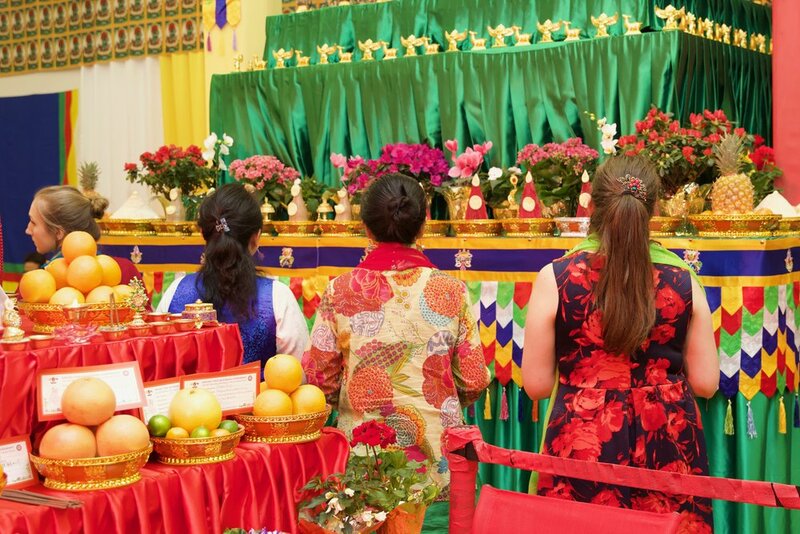 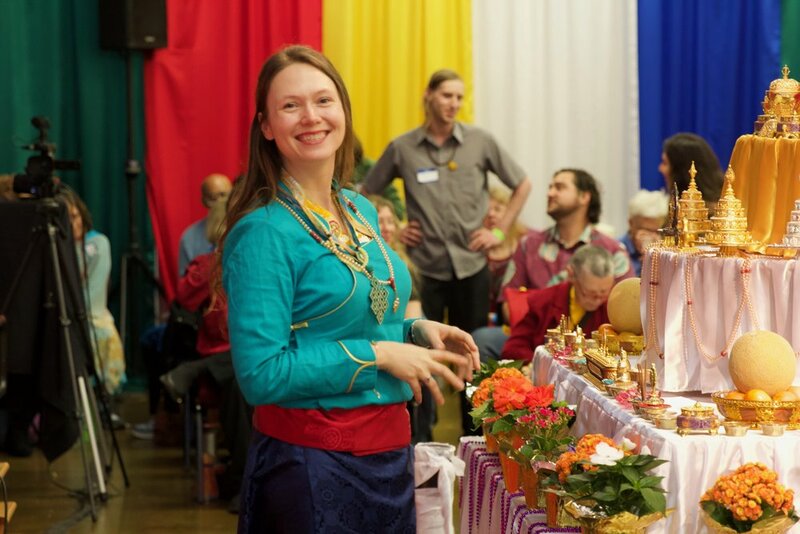 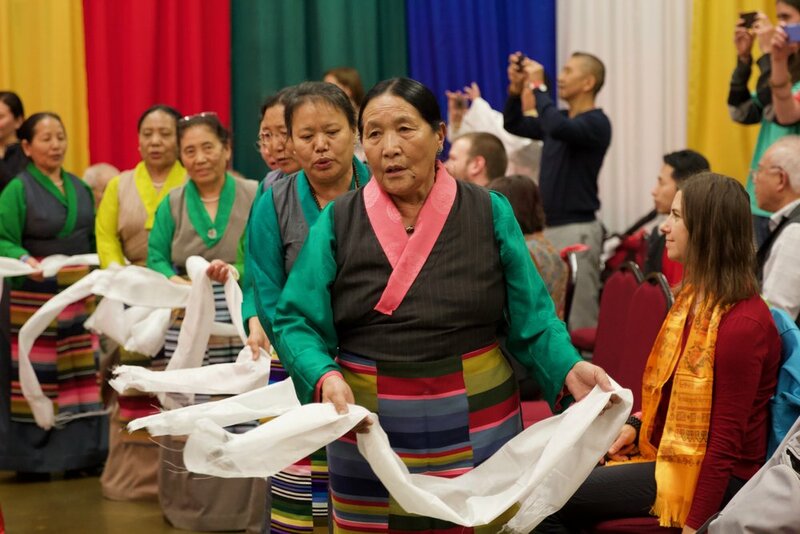 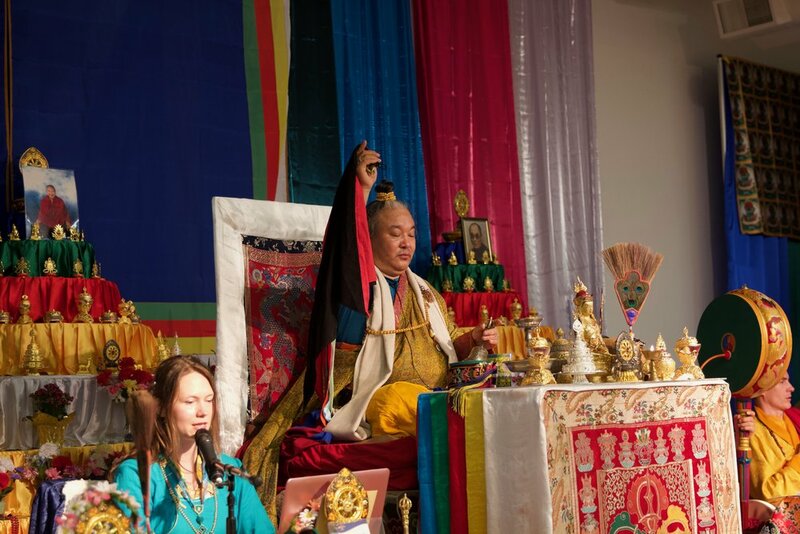 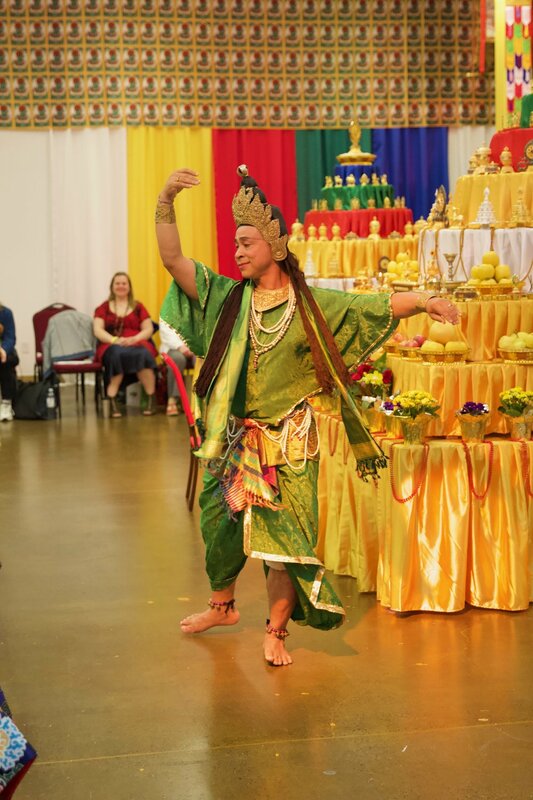 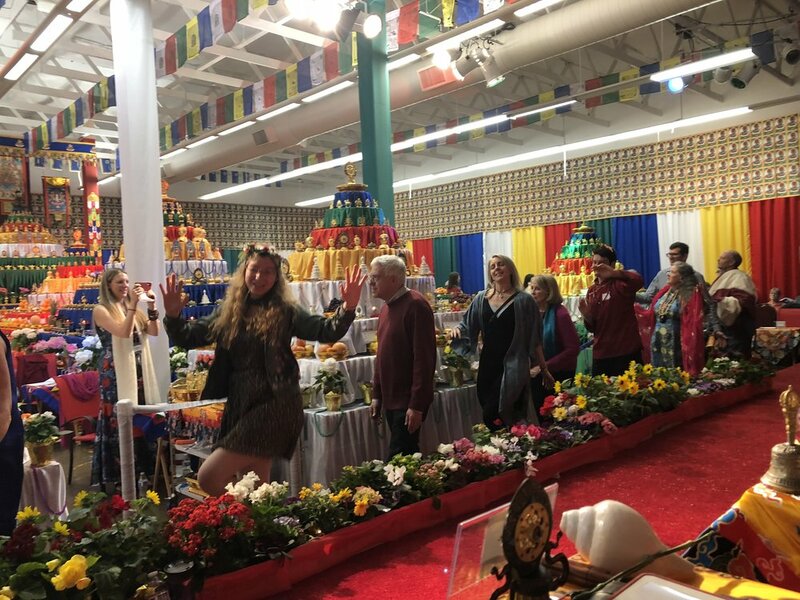 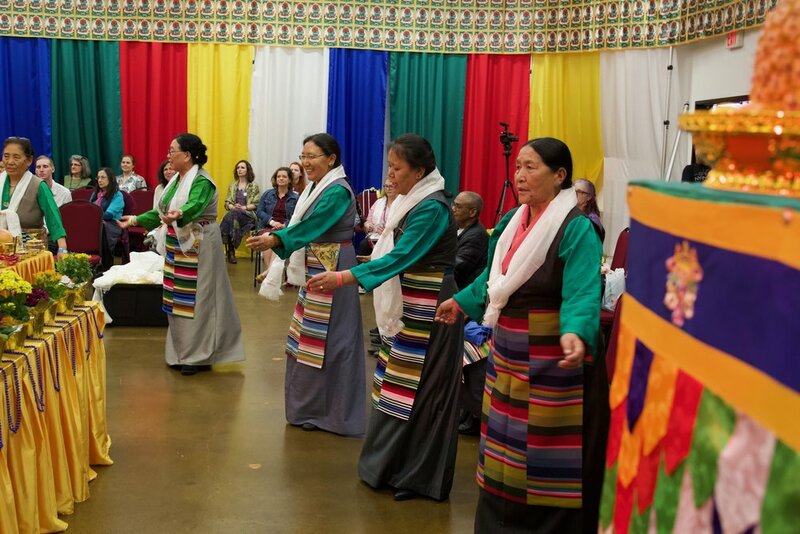 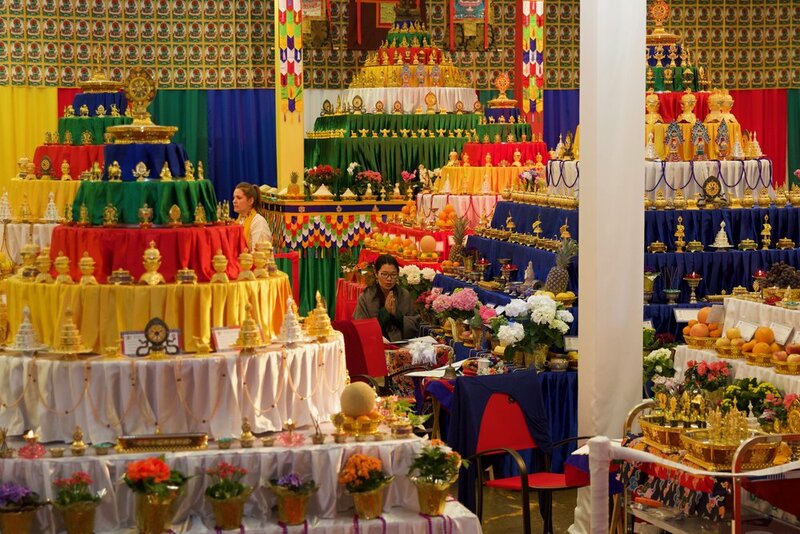 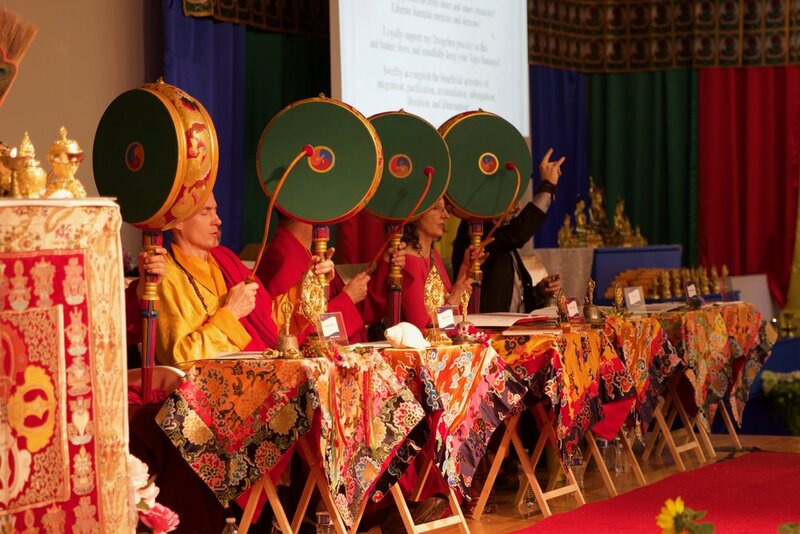 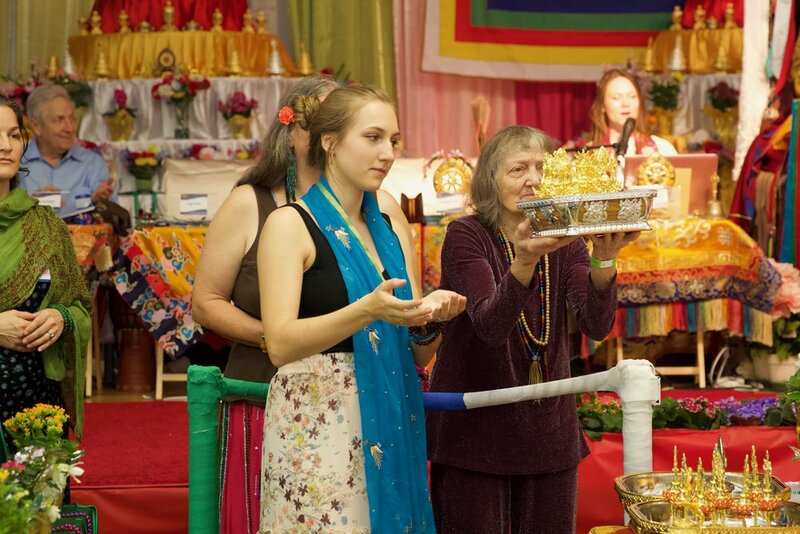 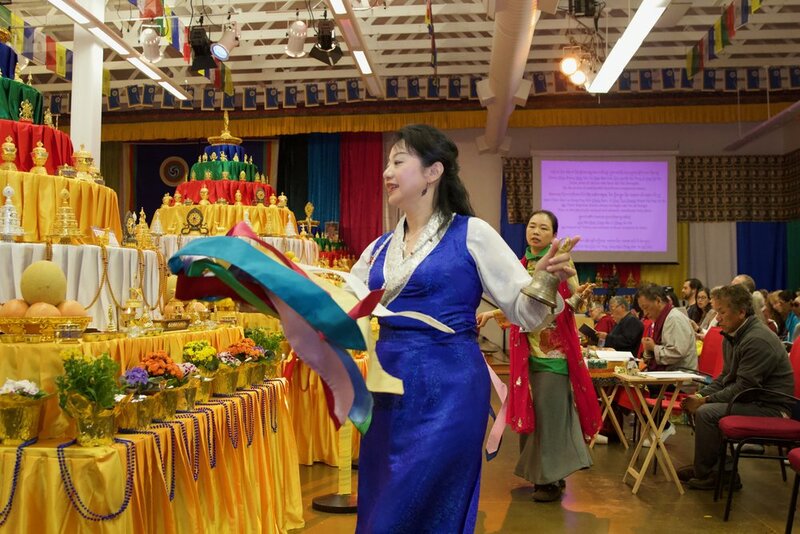 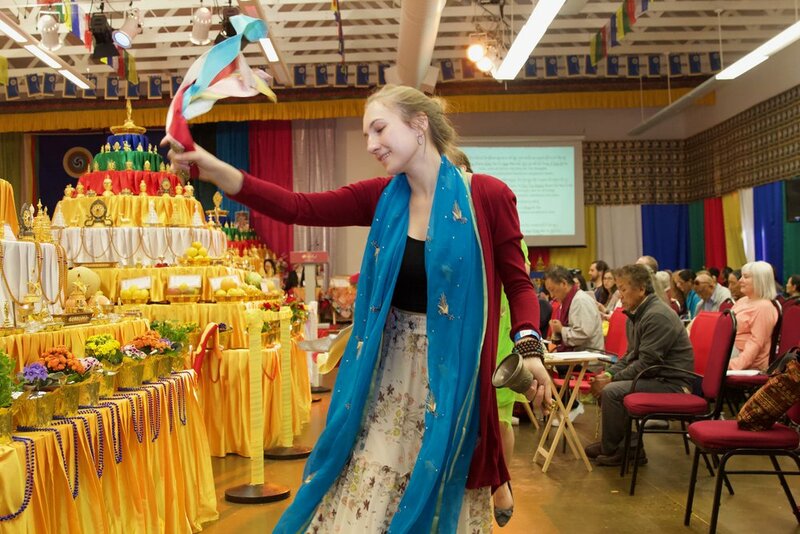 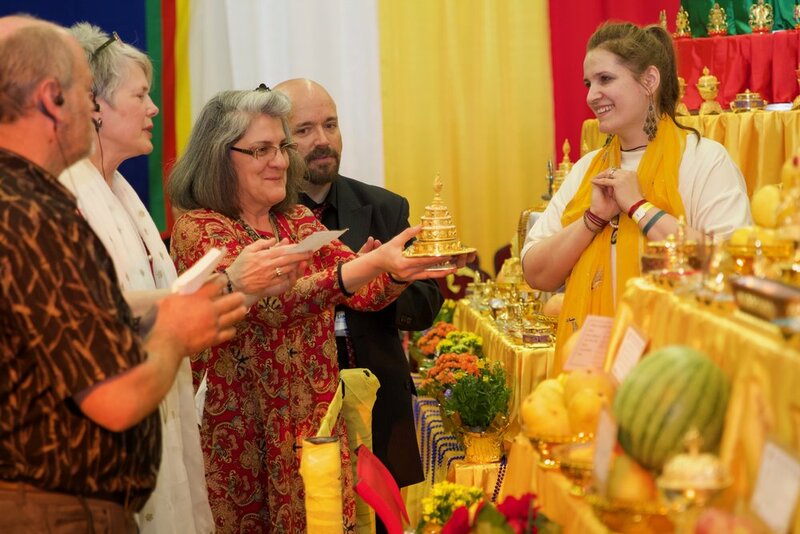 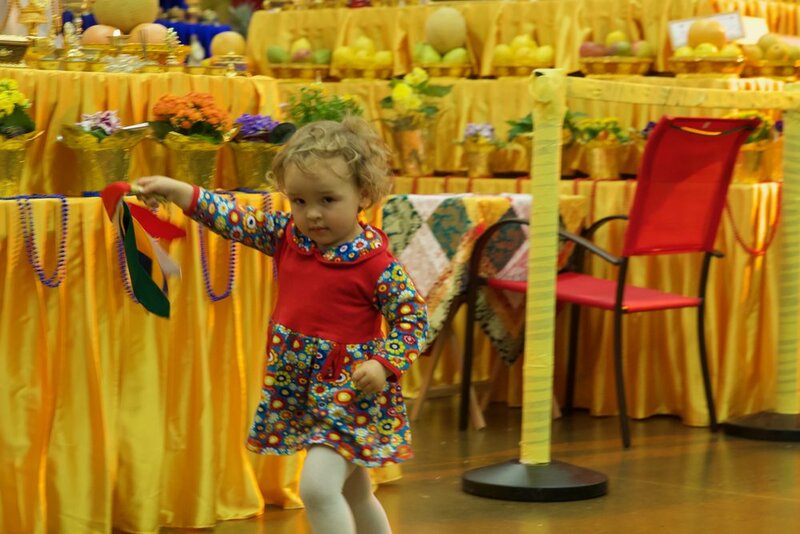 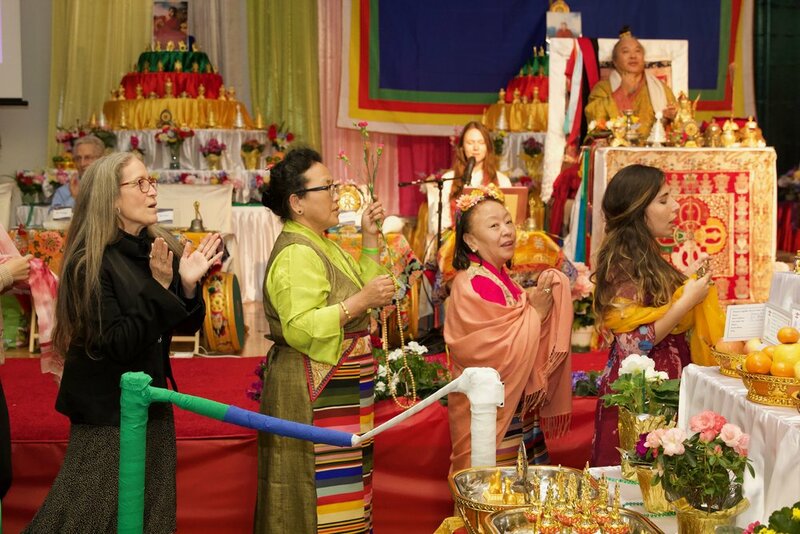 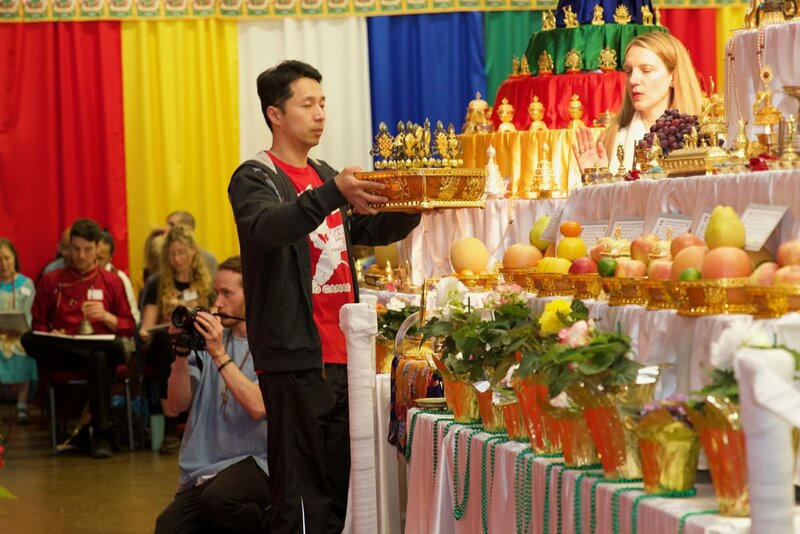 This Grand Tara Drupchen is a rare opportunity to participate in just such a large Buddhist practice and ceremony in order to help increase personal well-being while contributing to world peace. 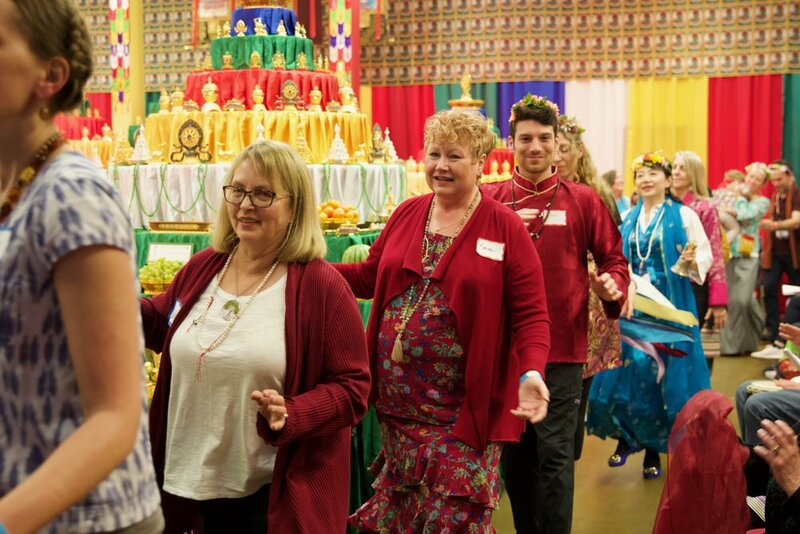 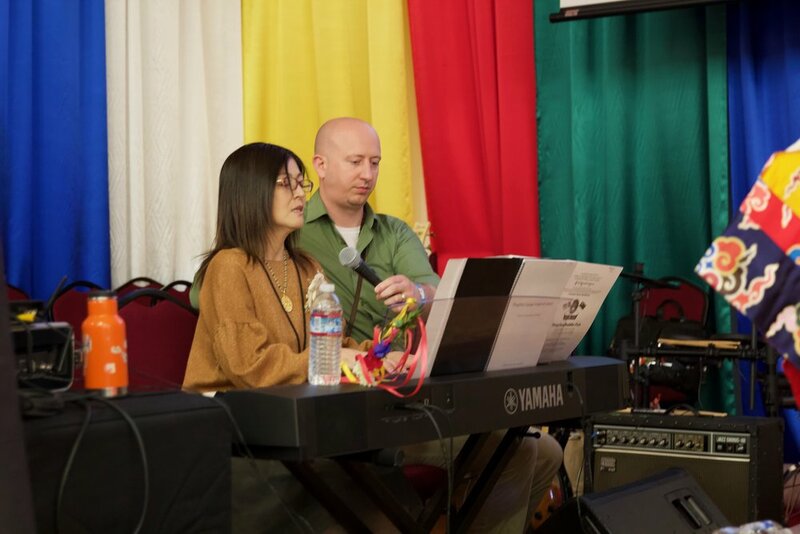 This will be a great opportunity to experience first-hand the power of one's own love, compassion, and wisdom as well as what happens when like-minded individuals join together in heart, mind, voice, music, and visual splendor. 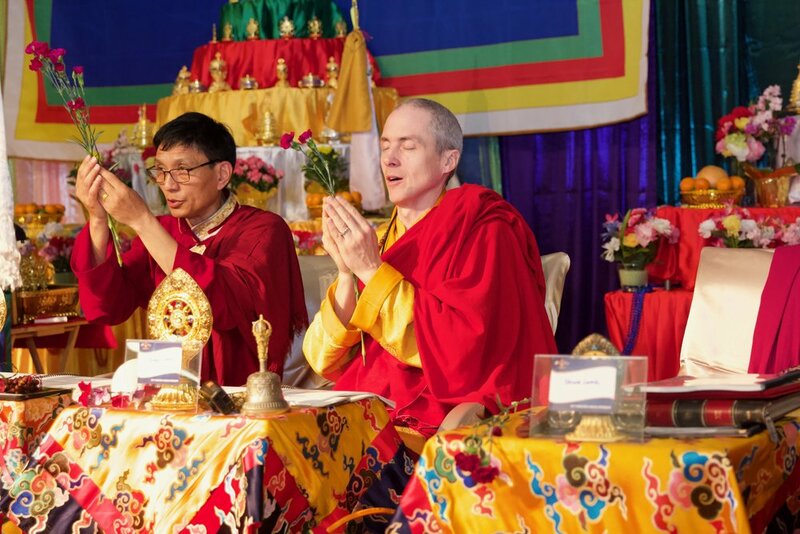 It is our aspiration to create a beautiful, abundant and inspiring practice environment to support the positive thinking and joyful attitude of all the participants in order to maximize the benefit for all beings. 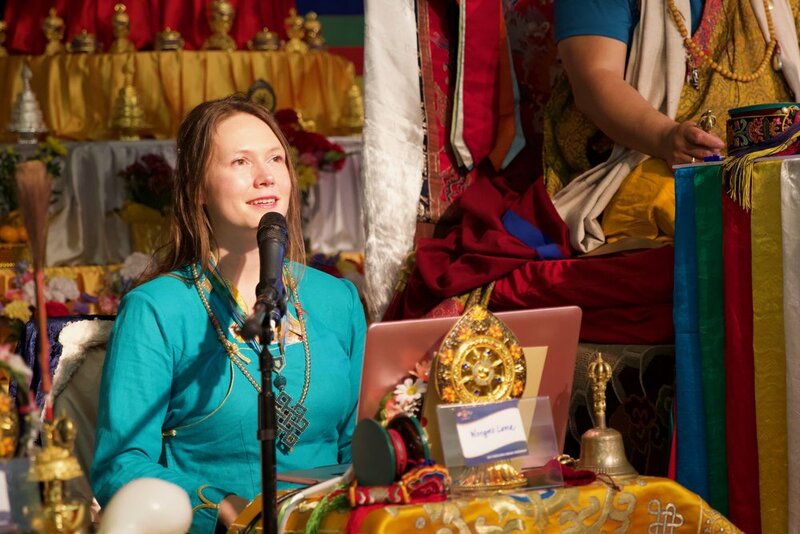 Together we can multiply our virtuous activity and help change this world.